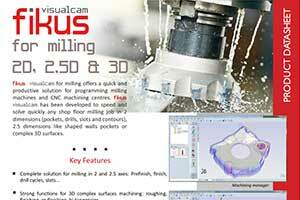 Fikus Visualcam Milling module is a powerful yet easy to handle CAD/CAM for milling production jobs. It comes with all necessary functions to machine wireframe 2.5D and complex 3D surfaces, included advanced optimization options as roughing, pre-finishing, finishing, flat areas machining, residual areas or bi-tangencies. Fikus Visualcam CAD module have been designed to meet the needs of a CAM programmer, you can create or easily modify any geometry. 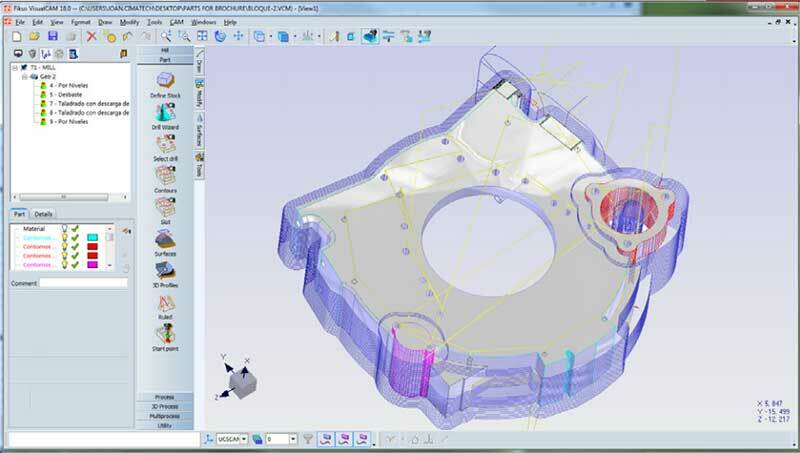 You can also import and export the geometry to multiple different CAD systems. 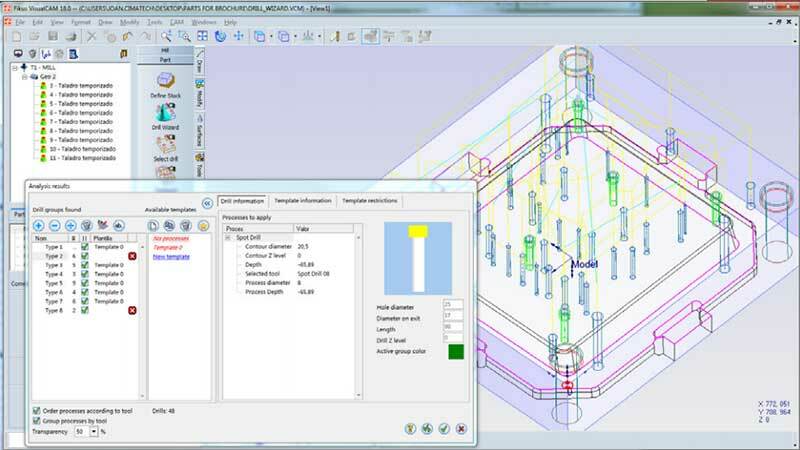 Fikus Visualcam allows also exporting and importing the geometry to other CAD systems through interfaces with all the usual formats like: IGES, STEP, Parasolid, SolidWorks, DXF, DWG and PLT. Unlimited undo/redo, gear creation, smart cutting, pressing pre-view and all the geometric necessary functions to create and edit contours and parts. 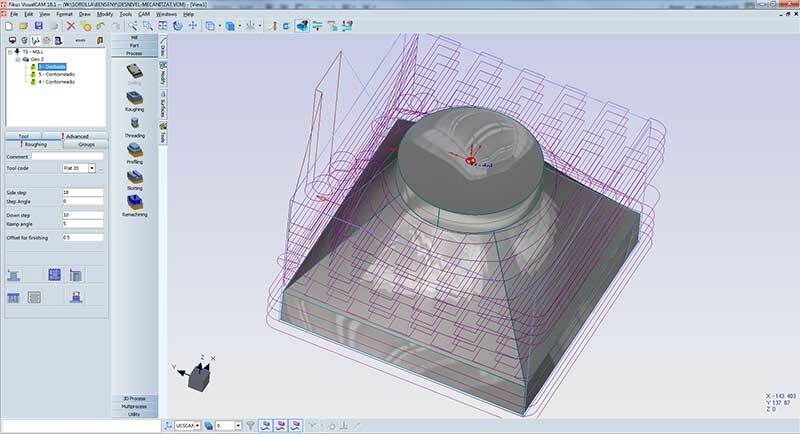 You can create programs with machining strategies that you can use later to generate easily new similar machining processes reducing time, costs and mistakes. Fikus Visualcam considers interactions between bosses and pockets, optimizing sub-routines and repetitions and using specific machine cycles and functions in the most efficient way. 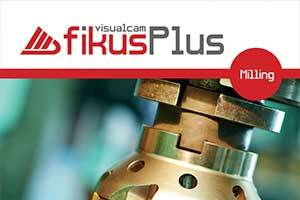 Fikus is a complete solution for parts machining. The roughing and contouring of multiple contours and different heights are processes that Fikus can do almost automatically. 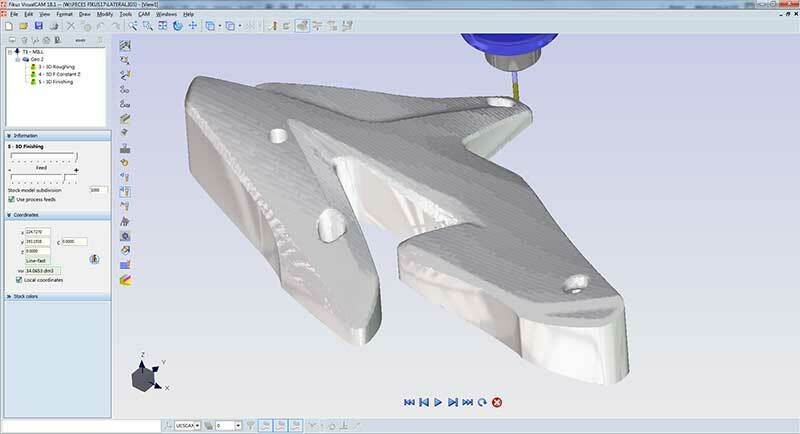 In 2.5D milling, Fikus allows to do easily and quickly 3D geometries construction. With Fikus Visualcam and its drill wizard, that recognize and produce automatically all the drills, all hole making operations are highly efficient. 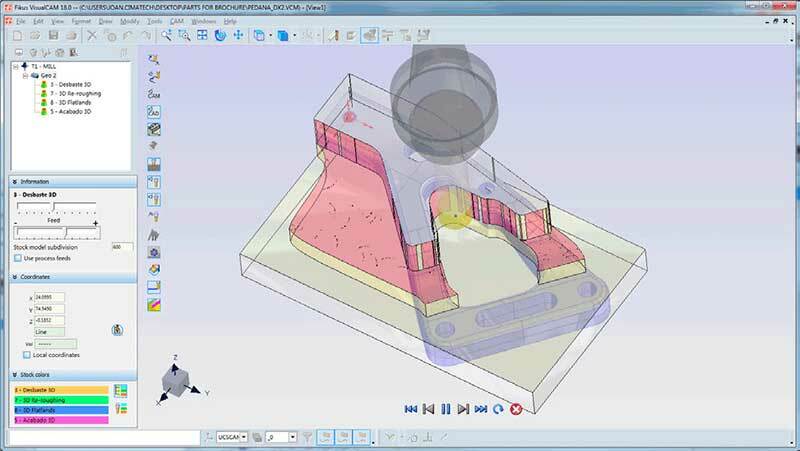 Pairing Fikus Visualcam 3d milling with Fikus 3dcad would bring 3D solid modeling to the desktops of engineers and analysts who work in a 3D world but don’t want to become experts in traditional feature-based CAD systems. Use multiple machining operations, such as roughing, finishing passes, all at once. All toolpaths will be associated to each other as well as the original geometry allowing late modifications. Your best Machining strategies can be stored in a multi-processes template to be applied later in similar parts easily and safety. Advanced finishing: Finish areas where the preceding tool has not been able to enter, using strategies as zigzag finish, Z constant, constant cusp, spiral or radial penciling (machining of radii where previous tools could not enter) Project curves onto surfaces. When the CNC program is ready, we can simulate all the machining process in realistic 3D, showing the material removal by tool before you send the CNC program to the machine.